Celebrating the life of Clifford Neil Beatenbough, Sr.
Be the first to share your favorite memory, photo or story of Clifford. This memorial page is dedicated for family, friends and future generations to celebrate the life of their loved one. 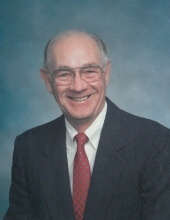 Obituary for Clifford Neil Beatenbough, Sr.
Clifford Neil Beatenbough, Sr., 91, of Fayetteville passed away peacefully on Tuesday, October 23, 2018. Mr. Beatenbough was the son of the late William Clifford and Minnie Will Beatenbough. He was a proud veteran of WWII, having served in the Army-Air Force. Mr. Beatenbough is survived by his wife of 69 years, Barbara Hilburn Beatenbough; three children and their spouses, Mr. and Mrs. Ron Henson (Brenda), Mr. and Mrs. Hanson Wright (Sheryl), and Mr. and Mrs. Cliff Beatenbough (Deborah); seven grandchildren, Beau Henson, Julie Ellspermann, Joshua Henson, Garrett Wright, Christin and Nikki Beatenbough, and Stephanie Hughes; five great-grandchildren, Carter, Claire, and Caroline Ellspermann, Luke and Port Henson; brother, Doyle Beatenbough of Danielsville, GA; two sisters, Martha Pethel of Danielsville, and the late Shirley O’Quinn, Danielsville; and several nieces and nephews. A memorial service will be held on Saturday, November 3, 2018 at 11:00 AM in the Chapel of Mowell Funeral Home, Fayetteville with Chaplain Gary Lewis and Rev. Glenn Stringham officiating. In lieu of flowers, donations in Mr. Beatenbough’s honor can be made to the Alzheimer’s Association, www.alz.org, or to Southern Grace Hospice, www.southerngracehospice.com. To send flowers or a remembrance gift to the family of Clifford Neil Beatenbough, Sr., please visit our Tribute Store. "Email Address" would like to share the life celebration of Clifford Neil Beatenbough, Sr.. Click on the "link" to go to share a favorite memory or leave a condolence message for the family.